This podcast episode features the history of Coconut Grove. From its inception, ‘The Grove’ was a place that attracted characters and developed on its own terms. Long before Henry Flagler decided to extend his railway to the banks of the Miami River, Coconut Grove was an active community that was much larger than what would become the core of downtown Miami. 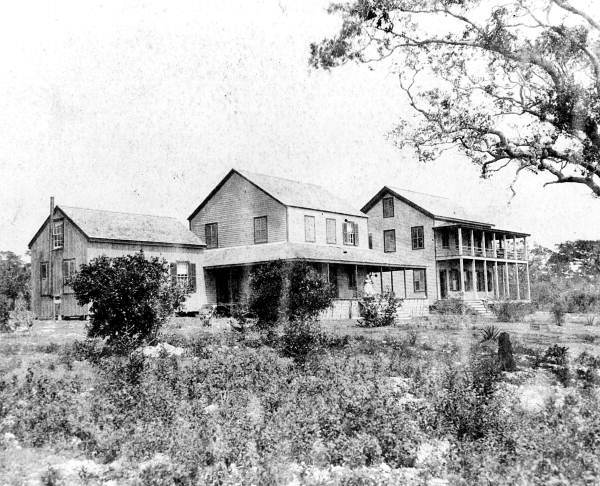 The community attracted counts, authors, painters and anyone who appreciated the organic and pristine beauty of South Florida prior to the extension of the railway. Through the Twentieth Century, it never lost its beatnik vibe. Although it has been area that has changed a lot in the last couple of decades, ‘The Grove’ still maintains its own charm and identity that so many South Florida residents find appealing. Tune into this week’s podcast episode to hear more about Coconut Grove and its storied history. Below are additional resources and articles that tell the story of this historic community. Cover: Peacock Inn in 1880s. Courtesy of HistoryMiami Museum.